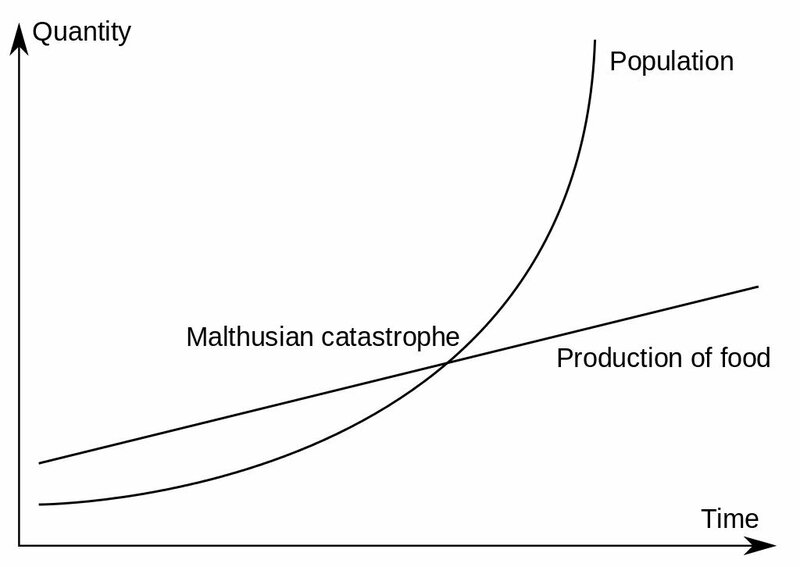 What is Malthusian Catastrophe? Will We Run Out of Food Resources? Malthusian Catastrophe: Will We Fall Short Of Food Sources With Population Explosion? Whenever a child is born, the new parents and the rest of the family are often in a state of ecstasy, as a new member joins the clan. To experience the entrance of a new life into one’s family is simply wonderful. However, economists generally have a diverging outlook when it comes to birth. When economists talk about demographics, one of the names that comes to mind is Thomas Malthus, who had a decidedly grim outlook on increasing population numbers. 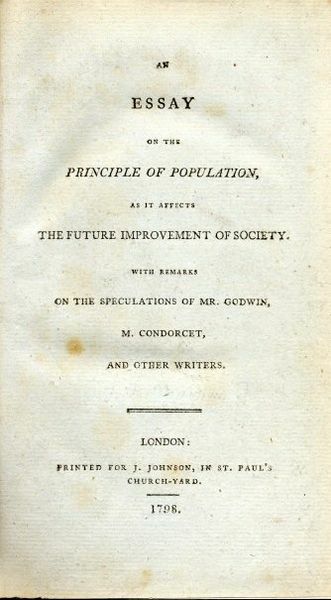 In his seminal book An Essay on the Principle of Population, published in 1798, Thomas Robert Malthus predicted a grim future based on his theory, which is popularly referred to as the Malthusian Catastrophe. A Malthusian catastrophe—also called a Malthusian check, Malthusian specter and the Malthusian crunch—is a prediction that growing population will soon outpace the planet’s agricultural production capacity. In other words, at some point, there will be far too many people and a very limited food supply, leading to great unrest. Malthus was of the opinion that the growth of the human population is geometric (roughly doubling every 25 years), whereas food production would grow arithmetically, which would ultimately lead to famine and starvation, lest the births be controlled in some way. Malthus argued that the short-term gains of an improved standard of living would soon be undermined as human population growth exceeded the production capacity of food, thus forcing the living standard back to mere subsistence. His seminal book influenced the work of two famous biologists, Charles Darwin and Alfred Russel Wallace. Darwin acknowledged Malthus as a great philosopher and felt that the increase in food through artificial methods was not possible, nor was the voluntary practice of celibacy or birth control feasible. Wallace felt that An Essay on the Principle of Population was one of the most important books he ever read, and successfully addressed problems of philosophical biology. Malthus proposed two types of population checks to avoid a Malthusian catastrophe: preventive and positive. A preventive check is one in which people make the voluntary decision to delay marriage and abstain from mating or procreation, citing the lack of resources for the future generations to survive. Malthus felt that humans could not simply turn a blind eye to the consequences of uncontrolled population growth and would need to take voluntary actions to keep population growth under control. A positive check, on the other hand, is an event or condition that shortens the life span of human beings through something drastic, such as war, epidemic, floods, and famine. Malthus also included poor health and economic conditions as a part of positive checks. For the past two centuries, many scientists have argued that Malthus overlooked technological advancement, which would allow humans to stay ahead of the population curve. Many argued that food production can, in fact, grow in geometric proportions because food production is not only about the land, but also about the scientific and technological know-how to utilize the land properly. Advances like seed breeding, soil nutrient replenishment, irrigation and agriculture mechanization are just some of the examples that serve as a good advocate for this claim. Further advances in technology in other sectors, such as energy, manufacturing, transport, communications etc. could help to keep food production on par with the surging population. Eminent economists like Karl Marx and Henry George were amongst the most notable critics of Malthus’s work. George argued that humans are distinct from other species, and can use their brains to leverage even the reproductive forces of nature to their advantage, unlike any other animal. He justified this argument by giving an example of the Jayhawk. George noted that both the Jayhawk and humans eat chickens, but if there are more Jayhawks, there would be less chickens, whereas when there are more men, there are more chickens. Another factor that Malthus ignored was the demographic transition. During demographic transition, societies move from a state of high fertility rates (roughly offset by a high mortality rate) to a state of low fertility rates (accompanied by a low mortality rate). Malthus also failed to foresee advances in public health and modern contraception, which would lead to a dramatic drop in fertility rates and birth rates. Perhaps this is how the human population will restrict the trend of geometric population growth. To this point, the world population has remained below Malthus’s prediction line. Simultaneously, world hunger has been on a steady decline. According to the United Nations projection, the present population growth rate is sustainable for at least another century, considering our present technological advancements.